Chalk up another legal loss for the notion that poker’s admittedly skillful elements can override existing case law in jurisdictions where poker is already deemed to be a form of gambling and within a general category of that gambling governed by larger and more general rules. The latest case to hammer home the simple point comes from Wisconsin, where a Dane County judge has dismissed a case brought the Poker Players Alliance’s Wisconsin state director, Steve Verrett, and professional poker player Mark “P0ker H0” Kroon. The case’s formal title was Steve Verrett et al vs. J B Van Hollen, with Van Hollen being Wisconsin’s Attorney General at the time the case was filed in August of 2014. The impetus to the case, according to several points, were discussions between Verrett, Kroon and other players about how best to make a case for poker’s skillful elements, which resulted in Kroon and Verrett succeeding in collecting $10,000 to mount a legal challenge to Wisconsin’s existing statutes, which state that poker is indeed an illegal form of gambling generally banned within the state. The $10,000 was used to hire an attorney willing to argue the case, Stan W. Davis, who with Verrett’s assistance introduced research previously compiled by PPA sources demonstrating poker’s overall skill-game nature, despite its obvious chance-related elements. Nonetheless, that legal challenge came to an end on Wednesday, when Madison-based Circuit Court Judge Richard G. Niess denied a motion for summary judgment against Verrett and the other players. Niess read orally his ruling in the matter; the written version of his decision has yet to filed in Wisconsin’s online legal library. Nonetheless, according to Judge Niess, it was an open-and-shut case, with poker’s already-existing status as a form of prohibited gambling clearly defined in Wisconsin case law. As such, it mattered not a whit how skillful the game of poker might be; what the law says it is it what it remains. Niess, according to a PokerNews update from the courtroom, cited existing law from a 1964 case (State v. Morrissy (25 Wis. 2d 638)), which involved the owner of an East Troy, WI bar/restaurant hosting bi-weekly poker games in his establishment, and withdrawing money from the game for the usual incidentals such as food and the use of the room. 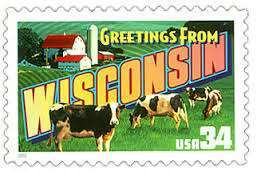 (The small southern-Wisconsin community is near the resort area of Lake Geneva, roughly midway between Madison and Milwaukee.) That case eventually went before the Wisconsin Supreme Court on related issues of what constituted “commercial gambling,” but the framework of the rulings left intact existing Wisconsin statutes that generally included poker as a form of illegal gambling activities. Poker in Wisconsin is generally illegal, though commonly played in private games, and is available “officially” in some (but not all) of the state’s numerous tribal casinos. The state’s largest such tribal poker room is located at the Potawatomi Casino in downtown Milwaukee. As Judge Niess noted in dismissing the skill-v-chance challenge, “I’ve got to say that poker is such a rich topic on so many levels. It’s as much a part of the American fabric, I think, as baseball and apple pie, but having said that, I can’t ignore the law here, and the law unfortunately, to use a poker analogy, is a stacked deck against the plaintiffs here.” Per the PN update, Judge Niess suggested that only via the state’s Supreme Court was existing case law on the matter likely to be overturned, other than for the obvious route of having poker declared legal by the state’s legislature — a move likely to be opposed by the state’s casinos. Niess’s decision also represents another loss for the “skill-v-chance” argument offered by poker enthusiasts in several states in recent years. The problem with that argument is that it simply doesn’t matter — if an activity is defined as illegal, than illegal it is, horrible law or not. Poker’s skillful attributes simply had no bearing on the governing Wisconsin law, as Judge Niess correctly noted.